Gas & Electric Shawarma Grill Machine Manufacturer & Supplier in India, Gas & Electric Shawarma Grill Machine in India. 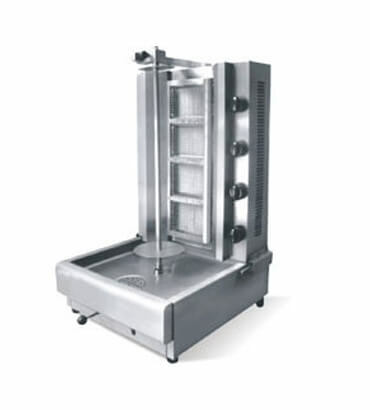 We are a renowned manufacturer and supplier of a prominent range of Shawarma Machine in India. The products offered by us are designed and manufactured with utmost precision that are in compliance with the industry standards. These products find their wide applications in big canteens, hotels and restaurants. Our products are widely applauded among the patrons for their attributes like strong structure, high durability, resistance against corrosion and low maintenance cost.